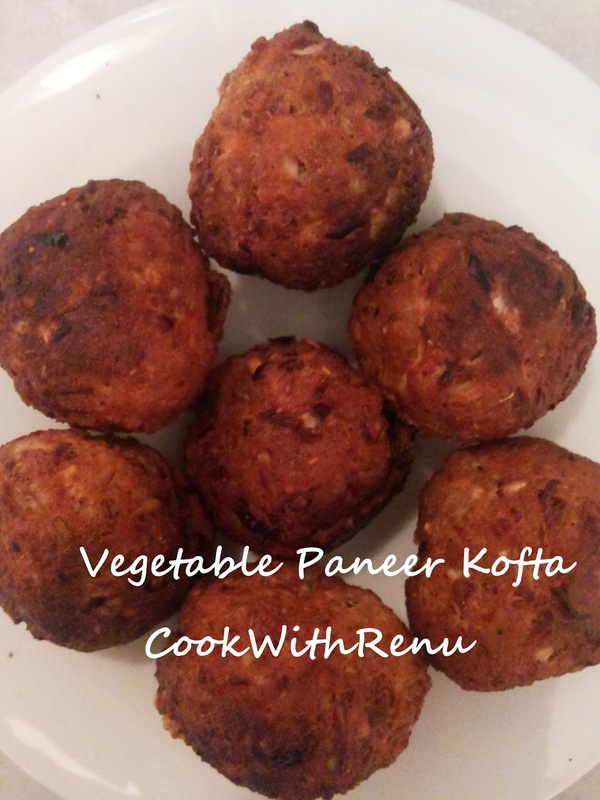 Kofta can be made using different ingredients like vegetables, paneer, potatoes etc. 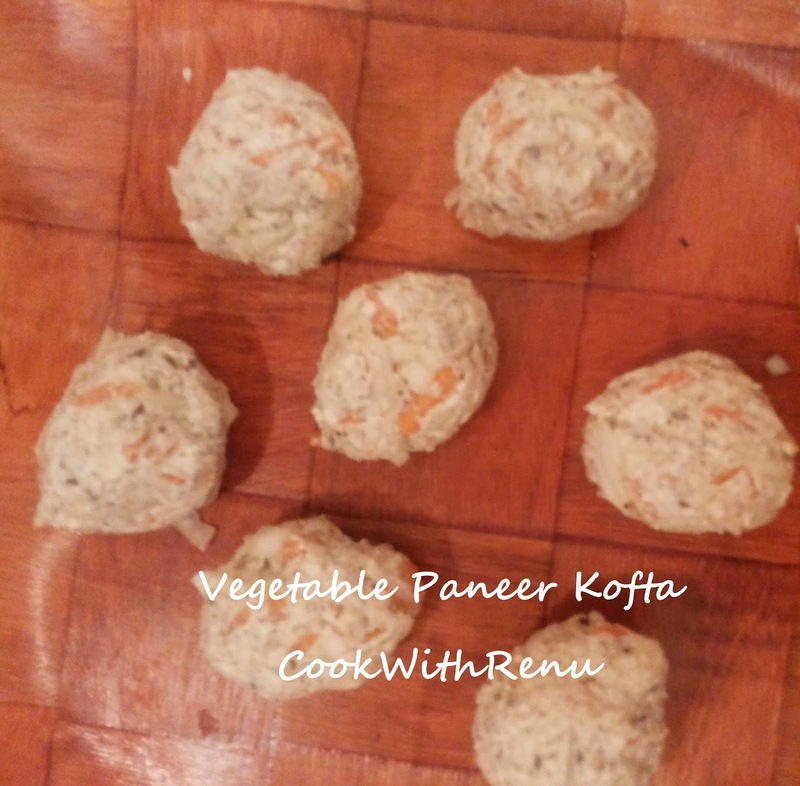 It can be as simple as Lauki Kofta or a mix of vegetables. I sometimes combine vegetables and paneer, other times vegetables and potato. Whatever you use, the output is yummy and it can be eaten as a starter or add it in a curry of your choice and it becomes the main course. 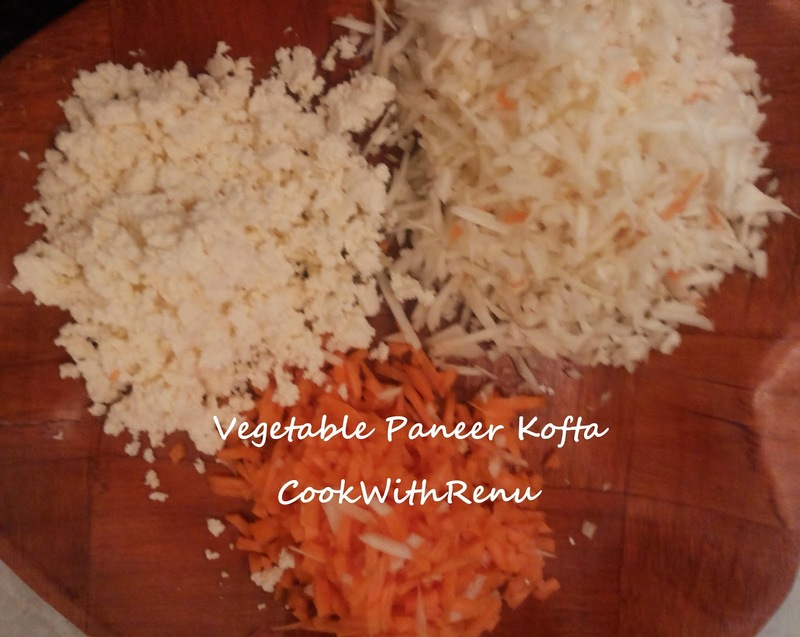 In the below recipe, I have used carrot, cabbage and paneer (Indian Cottage Cheese). Other options are broccoli, Cauliflower, capsicum etc. Also nowadays I simply try to shallow fry things I can in appe pan instead of frying. It depends on what is your preference. 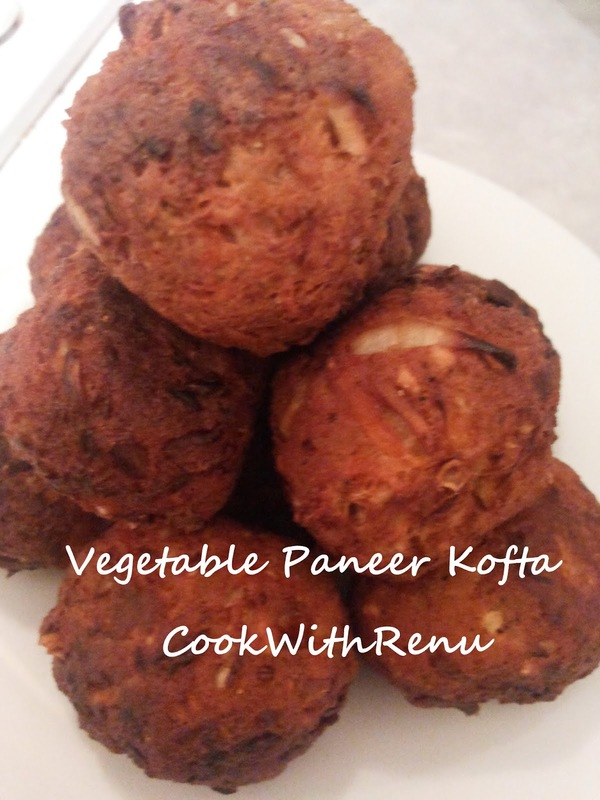 So here goes the recipe of Vegetable Paneer Kofta. 1/2 Cup of mashed paneer (Indian Cottage Cheese) , Can be replaced with potato if not available. Oil for frying or for shallow frying in Appe Pan. Finely grate all the vegetables. One can use a different combination of vegetables as required or as one have it. Mix in all the masala’s and salt and make a big lump. Water is not required. The vegetables itself will release water when mixed with salt. In the mean while let the oil heat for deep frying, or heat the appe pan on medium. Divide the dough into equal portions and make round balls. Once the oil is heated, add one kofta, and fry it. 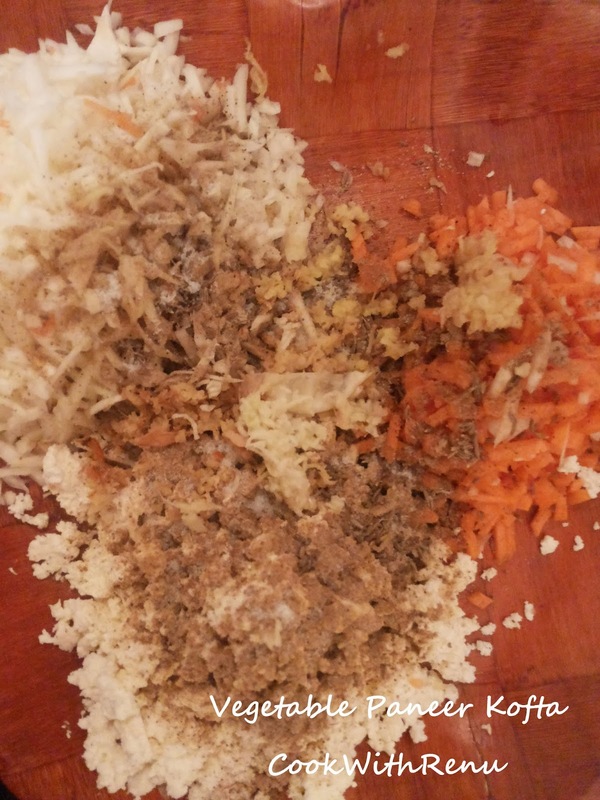 If it does not break it means you need not add breadcrumbs or cornflour. Deep fry the remaining kofta’s on medium heat until golden brown in colour. Alternatively shallow fry the kofta’s on medium heat in an appe pan. Yummy kofta’s are ready to be served or ready for a kofta curry. Sometimes due to excess moisture in vegetables the kofta might break while frying or before that. If that happens add breadcrumbs or cornflour. One can stuff the kofta’s in between with dry fruits.